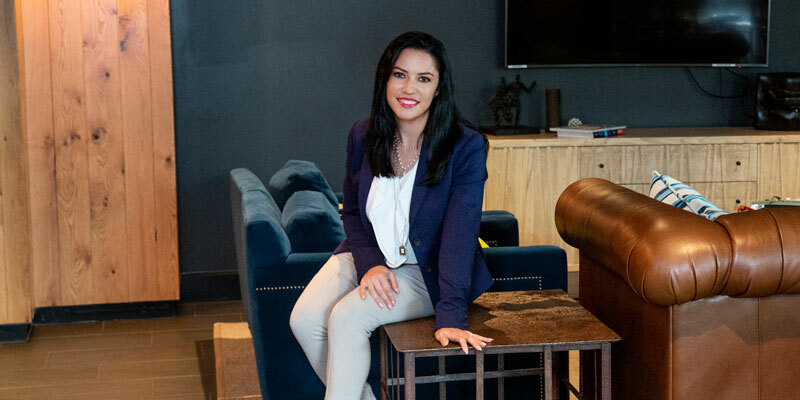 After 10 years in the restaurant industry, Rachel Guy parlayed a relocation to Atlanta for her husband’s job in radio — he’s the Bailey in “Bailey and Southside” on Rock 100.5 — into the perfect opportunity to pursue a career in something she is passionate about: Real estate. “I put my heart into your family having what they want/need,” says Guy, a Realtor with Palmer House Properties & Associates. She works with sellers, buyers and investors in Roswell, East Cobb, Alpharetta, Johns Creek, Sandy Springs, Atlanta, Hiram and Rome. To better assist clients, Guy earned the Military Relocation Professional designation this year, a year that also came with the challenge of recovering from major surgery that prohibited her from driving or climbing stairs while she recuperated. Buyers stepped up and accommodated her special needs, some of whom drove her to look at houses with them and yelled down to her from upstairs any feedback they had about the properties. “They definitely made it fun during my healing process,” she says. Guy also sent her son off to college this year, calling it a bittersweet milestone. She felt proud and sad at the same time, realizing that her baby is becoming an adult. “We miss our son in college, and have a teenage girl keeping us on our toes,” she says.